President Donald J. Trump is the direct descendant of Hakon V King of Norway according to Icelandic genealogist Oddur F. Helgason. Mr. Trump is also related to Queen Margrethe II of Denmark, Icelandic President Guðni Th. Johannesson of Iceland, and in fact almost all Icelanders. Donald Trump, “Son of Norway"
Helgason became interested in Trump’s lineage after speculation about Donald Trump’s potential kinship to Icelanders went viral on Facebook. 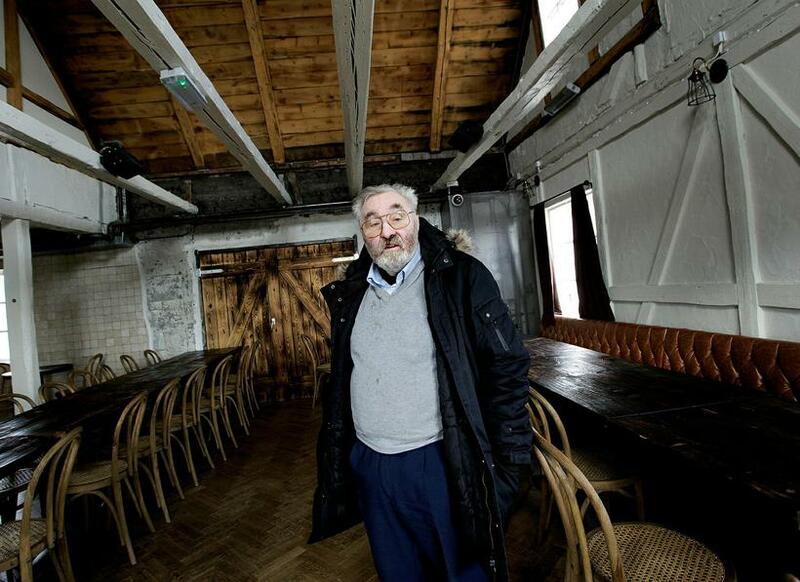 Helgason, a former fisherman, is one of Iceland’s most prominent genealogist and president of ORG-genealogist service in Reykjavik. In his exploration of Trump’s kinship to Icelanders, Helgason also traced him to Guðni Th. Jóhannesson, current President of Iceland. “Naturally, as he is the Icelandic head of state,” Helgason wrote on Facebook. The two presidents are in fact related back through 25 generations and share a common ancestor in no other than King Hakon V of Norway, a Viking-age king who reigned from 1299 to 1319. Mr. President Trump is a descendant of Hakon’s only legitimate daughter, Duchess Ingibjörg Hákonardóttir (Ingebjørg Håkonsdatter) who by marriage became a Swedish princess and was the mother of King Magnus of Norway and Sweden. President Jóhannesson is the descendant of King Hákon’s illegitimate daugther Agnes. 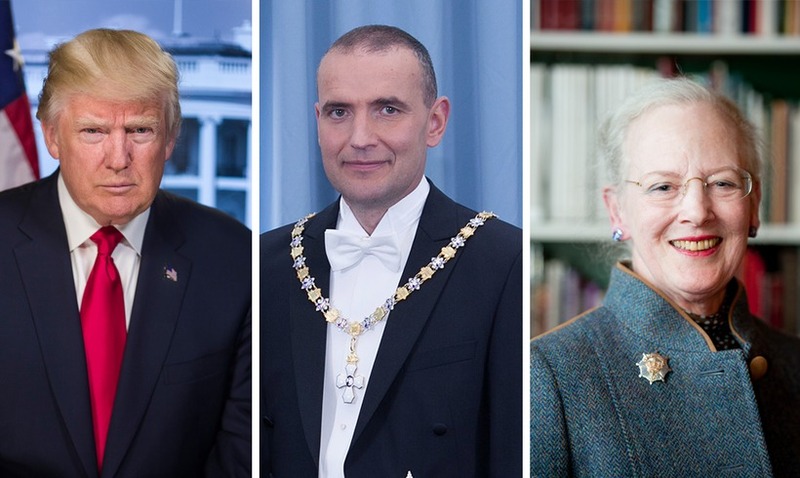 Most Icelanders can trace their ancestry back to Gottskálk “grimmi” (or Gottskálk the cruel), Helgason writes, “and you can look him up to see how you are related to Trump.” Iceland has one of the best genealogy records in the world thanks to Landnámabók that documented the Viking settlement of the island, the Iceland Sagas, and fairly decent record keeping over the ages. Isolation in the North-Atlantic and relatively small population has also helped keep things simple. Icelanders can look up their ancestry in an online genealogical database maintained by deCODE Genetics, a Reykjavik biopharmaceutical company. Mr. Trump is a descendant of King Christian I of Denmark, Norway and Sweden. Trump can also trace his ancestry to the Scottish royalty. Christian I of Denmark was the father of Queen Margaret of Scotland, the spouse of King James IV of Scotland. 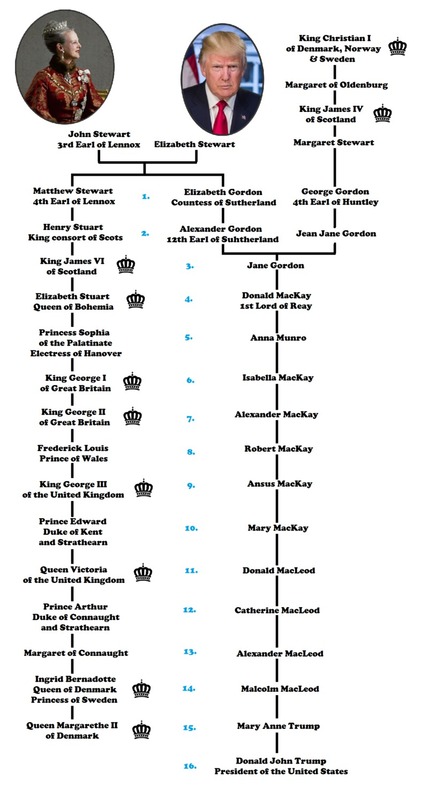 Their son, King James IV of Scotland is also Mr. Trump’s forefather. Trump’s royal British ancestors have been reported on earlier, and Trump and his democratic opponent, Hillary Clinton, are related through a common ancestor, John of Gaunt, son of King Edward III.